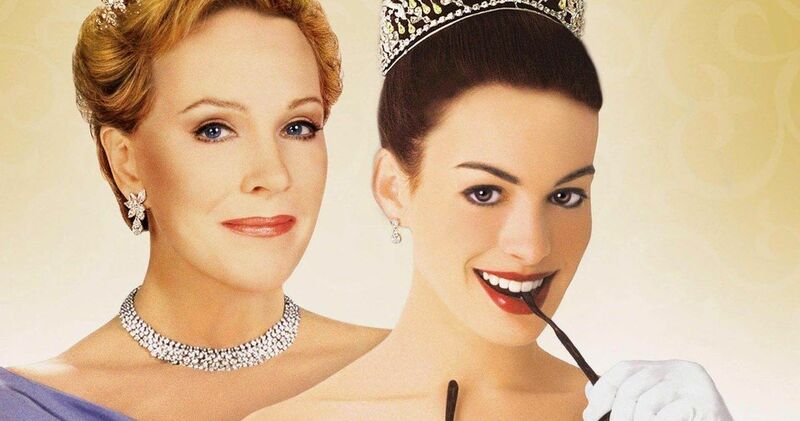 Princess Diaries 3 Script Is Finished, Anne Hathaway & Julie Andrews to Return? Anne Hathaway has revealed that The Princess Diaries 3 script is complete. Hathaway says that she wants to make the movie and that Julie Andrews and producer Debra Martin Chase are on board with her. It’s been 15 years since the last movie in the franchise hit theaters and fans have still held out hope that a third installment would happen at some point. It was announced in 2015 that the movie was moving forward, but the news front has been relatively silent until now. In a new interview, Anne Hathaway revealed the good news about The Princess Diaries 3. The project has been talked about many times over the years, but it appears that we are closer to seeing it now than ever. Hathaway was asked about the sequel rumors and excitedly, but cautiously, talked about the future. She had this to say. Alright, now that fans are excited, Anne Hathaway warns that The Princess Diaries 3 will take a bit longer to get off of the ground and won’t magically go into production next week. The movie launched Hathaway’s career, so it holds a special place in her heart. In the end, even though there is a script, it sounds like there is some fine tuning that will need to happen before anything officially moves forward. Hathaway explains. 2001’s The Princess Diaries was directed by Garry Marshall from a screenplay written by Gina Wendkos and is based off of Meg Cabot’s book of the same name. The movie was a huge success and spawned a hit sequel in 2004. Marshall passed away in 2016, so the project will have to find another director. Cabot has said in the past that the third movie would be a tribute to the late director. With everybody set to return, it looks like that tribute will finally happen in the near future. Fifteen years is a long time to wait, but waiting a little bit more shouldn’t be a problem. The Princess Diaries 3 will happen, but fans will just need to be a little extra patient while everything gets worked out behind-the-scenes. It’s good to hear that the studio isn’t rushing to put out a sequel and is instead making sure that they deliver the best possible movie that they can do. You can check out the interview with Anne Hathaway revealing the good news below, thanks to the Watch What Happens with Andy Cohen Live YouTube channel.